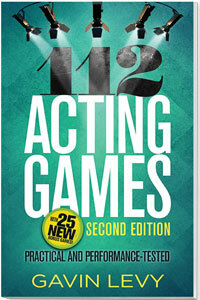 If you are looking for a quick-fix basic game book for drama, this book is not for you. However, if you are looking for something that delves deeper into exercises and their purposes, then read on. The objective of this book is to give theatre teachers the tools they will need not just to play a game or teach an exercise, but also to actually understand the reasons they are doing so and the practical benefits of each exercise. This handy text will enable teachers to hold a group discussion when necessary and guide them on how to ask leading questions. Read more...For each of the 112 games, divided into 20 categories — sensory awareness, characterization, action and reaction, nonverbal communication, and much more — you’ll find not only the description of the game, but also discussion guidelines, suggestions of variables, and a clearly delineated purpose for the game. Plus, in this new edition, you get 25 bonus games!